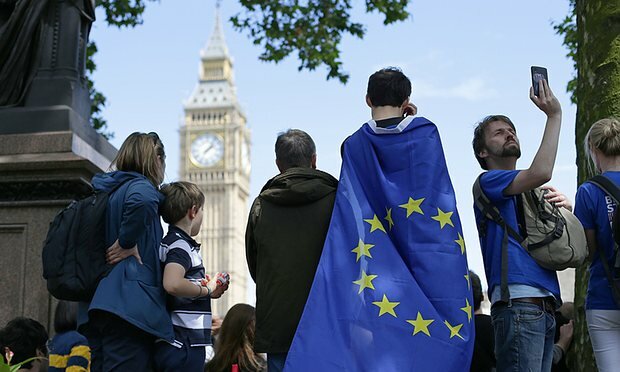 Says the Independent, "People who don't engage as much with the wider world are overwhelmingly more likely to have voted for Brexit, research has found. A study by Demos also found the size of a person's social network and their likelihood of travelling beyond their hometown had a greater influence on their decision to vote to leave the EU than other factors such as income. The think-tank found those who socialised with friends from a different part of Britain were nine per cent less likely to have voted for Brexit, despite their income". The subtext of this being that leave voters are small-minded introverts from the shires. Except that there's good reason for that. People who stay in one place do so for a good reason. Travelling is expensive. Going out is expensive. I know quite a lot of people who don't really go anywhere and if they drink at all it will be a few beers at home - to save money so that they can invest in improving their homes and giving their kids the best start in life. I often whinge about house prices - but there are ways to play the system if you are frugal and austere. At some point in my youth I consciously made the decision not to live an austere life because I couldn't cope with the stifling routine of staying put. This is why I am always out and about and have what many would consider a more cultured lifestyle. There are times when I notice the gulf between the motivations. Working out in Gloucestershire I am presently working with people who live locally, support the local rugby team and have a large circle of friends, but mainly people much like them living in the same places. Something known as community. I am acutely aware I am not part of it and my rootless ways arouse suspicion in the settled community. The choice I made has its inherent risks. Without building up an asset base I have no security. My entire life is a gamble and to stay safe I have to stay sharp. As you get older you find the safety nets shrink. But it was a choice. And while I may sometimes envy the security and community that others have I would rapidly go crazy living my life in one place keeping up the same routines. Consequently this means I don't quite fit in and I find the interests and obsessions of the settled community somewhat parochial - and when you're dealing with people who stay in all the time you are most likely dealing with people who stay home and watch things like Strictly Come Baking. I can't deal with it. It's easy to write such people off as the great unwashed but these are the people who hold down jobs and make the machines work. These are the people who keep the gas flowing and the lights on. They are the people who come to our rescue when our cars break down or when we become injured. The remainer subtext that the opinions and ambitions of working class people should be swept aside for their more enlightened cosmopolitan ideas is one of the many assumptions which prompted people to vote to leave. People who make different life choices do so for good reasons, all of which are as valid as my own. And this really does link in with the immigration debate. Settled peoples have rights too. Why should the fabric of close knit communities be disturbed without consent? In the end there is nothing especially virtuous about people who are well travelled and outward looking. A society needs all stripes to function. We need people to work the routine jobs and then we need a fluid workforce not tied down with responsibilities. Moreover, having dealt with more well pampered HR people than a person ever should, one thing I have noticed is that travel does not necessarily broaden the mind. If you take an incurious person and lavish travel upon them you are wasting your money. Some of the most shallow, snobby and fatuous people I know would consider themselves liberal citizens of the world. Such people have no concept of what it is to be building or maintaining something with a long term plan. They latch on to the fashionable and socially convenient worldview that the EU is the manifestation of liberal values but it's little more than virtue signalling. In a lot of respects I have a foot in both camps. If travel were free you would never see me. For the moment I am in a phase of "just about managing" and I'm stuck where I am. These are the times I miss things like community and being "a local". And then I think of my old friends back up in Bradford - people who would give anything to get out as I have - to have seen the things I have seen, to not have travelled the same road every day. As I get older I sometimes find myself envying them. When you have routine certain things are always in a particular place and your schedule is already dictated. Your choices are fewer but then you are less likely to suffer from choice paralysis. As I got older I learned that moving around does not bring any greater comfort. It's great to have met the people I know in Bath and Bristol and Edinburgh, but like people back home, they're living their lives and getting on with it, ending the week at the same bar in the same old pub. It turns out people are pretty much the same wherever you go. What I find is that the broader your horizons, the harder it is to fit in wherever you go, and so there remains a polarisation between the settled and the travelled. It is then no surprise that there is an obvious demographic divide and opinion is split between the ages. In this, the remain side of the Brexit debate seem keen to pour over these demographic studies to pathologise the leave vote, and consequently delegitimise it, as though you need to be of a particular set for your opinion to hold any worth. Democracy is lost on such people. The whole point of democracy is one person; one vote, where we take a sample of opinion and move together on the basis of compromise. 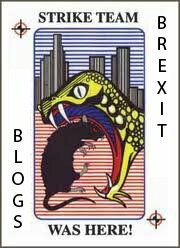 In something as binary as EU membership though there is only winner takes all. There is no third option on the ballot so we move with the majoritarian view which is to leave. For whatever reasons they voted for, they did so in accordance with their own views based on their own choices. Their worldviews are formed by what they see and hear in the media, but also in the street and in the workplace. They are the best judges of what is important to them. To suggest that choosing a more conservative lifestyle means you are not qualified to make such an estimation is to invite the very sentiment behind the leave vote. What these people know better than anyone is that the frivolous and rootless people telling them how to vote are no better than anybody. I imagine the working classes would like nothing more than to live a more adventurous life but they don't because they can't afford it. It's then a bit rich to tell them that the EU brings them freedom of movement and prosperity. Earlier this year Theresa May said "If you believe you are a citizen of the world, you’re a citizen of nowhere. You don't understand what citizenship means". I smiled when I heard that. Nothing quite so succinctly demolishes the flimsy worldview that believing in the borderless homogenised EU, along with all the pompous garb that goes with it, is somehow enlightenment. May recognises that being a citizen is more than holding outwardly liberal views. It means making a contribution - to be part of something. It takes no particular talent to drift through life going place to place - and in so doing all you're likely to meet is others who have made the same choices or enjoy an extraordinary privilege. Far from broadening the mind it merely reinforces a particular mindset which is never exposed to the values of the settled community. It's why self-styled "citizens of the world" have no self-awareness and do not for a moment appreciate just how naff they sound to everybody else. By most statistical estimations I should be a remain voter. I'm youngish, mostly socially liberal, I travel whenever I can and I know people in almost every UK city. There was a time when I wouldn't think twice about going clubbing in a far away city and ending up on someone's couch. I met all manner of people of all professions. I met trainee doctors, polish labourers, accountants and forklift drivers. Just people making their way in life. I was one who for a while who had no direction of my own so decided to see how others do it. I see nothing superior in that. If I was true to the statistical stereotype I would probably have voted remain but I didn't. To vote for the EU based on a bovine interpretation of what it is by way of the values it pretends to embody is the very worst kind of tribal parochialism. More so than simply choosing to stay put. This vote required that citizens took the time to look at the EU closely, to examine its history, and to audit its achievements against its rhetoric. Not only did I take the time to do that, I committed a year of my life to writing this very blog. It turns out that the EU is not what it pretends to be, is not pivotal to the freedoms and prosperity we enjoy and political union is not required to achieve the same things. The many thousands of people who read this blog agreed with me and it turns out fifty two percent of the electorate agreed with them. So it's time to put away these divisive studies. They are instructive but not conclusive. All it takes to change the tide of history is the people hanging in the balance. In that, the citizens of nowhere lost the argument. The self-admiring enlightened souls of the Easyjet generation might well have seen the sunrise in Paris and the sunset in Berlin, but I have yet to hear a good reason why Britain must be a subordinate to a supreme government in order for that to happen. I find no enlightenment among those who believe that to be so. More self-serving toss from Ian Dunt. Don't appease Ukip. Keep freedom of movement. Good job Richmond, good job!